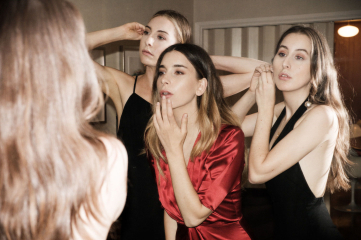 If you are ready to kiss this year goodbye, do it in style with the new Reformation x Haim holiday collaboration collection. The 10-piece NYE capsule collection gives a nod to the 70’s with modern pieces that are festive and totally gorgeous. This collection is super-chic, while also staying true to the brands quirky, magical aesthetic. A few of our favs are: the halter jumpsuit, patent leather jacket, star print mini, wrap dress, and bodysuit. So, put your holiday shopping on hold and grab something for yourself. Prices range from $118 to $498. 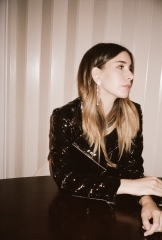 Flip through our gallery and shop the Reformation x Haim holiday capsule collection.